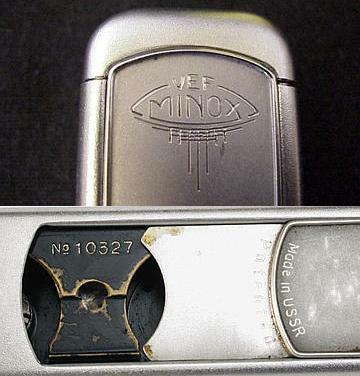 There are at least two forms of "Made in USSR" Riga-Minox cameras. 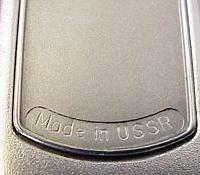 One has the word "Riga" made illegible and the "Made in Latvia" milled out and "Made in USSR" engraved over it. The second form has no word "Riga" engraved under Minox and "Made in USSR" is a normal engraving as shown in 11721 below. No.10327 shown above seems to be a little of both.